Douglas B. Constable is a veteran in his field. His role is as diversified as companyâ&#x20AC;&#x2122;s provision of solutions to their customer, he deals in medical devices, commercial power plants, retail products, seasonal holiday products, industrial equipment and other significant markets as a contract manufacturer of injection molded plastic parts. He conveniently oversees 250 employees in 3 states with 5 locations. 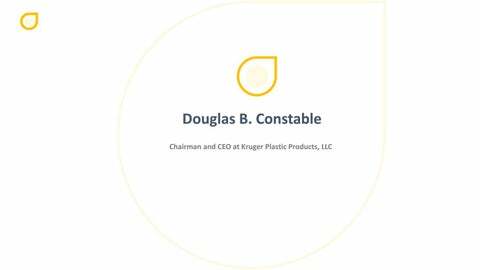 Douglas Benjamin Constable is the chairman of the Kruger Plastic Products, LLC since 2016. His company operates 60+ injection-molding machines, ranging from 25 tons to 1,000 tons, with more on order to accommodate growth. Douglas Benjamin, as a CEO of the Kruger Plastic Products, is responsible for $50 million injection molding company with a broad and diverse customer and industry base. Douglas B. Constableâ&#x20AC;&#x2122;s marvelous acquisition strategy grew the company from $11 million to $50 million currently, with aggressive growth expected in the future. The earnings before interest, tax, depreciation, and amortization, during his tenure, increased from $1.1M to $7.5M. He has the capability to handle all of the customerâ&#x20AC;&#x2122;s unique needs and ensuring customer satisfaction. He is also responsible for all aspects of company operations. 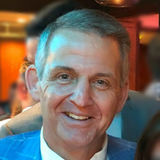 Douglas Benjamin Constable earned his Bachelor of Science â&#x20AC;&#x201C; Accounting in 1987 from the State University of New York at Oswego.